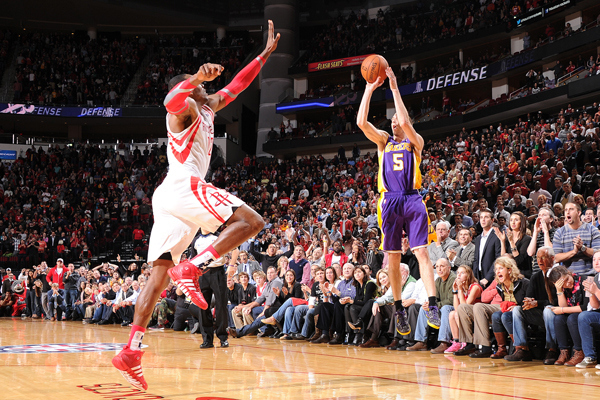 The Los Angeles Lakers hit 16 3-pointers against the Houston Rockets, but the last one meant the most. With 1.3 seconds remaining, Steve Blake caught a short inbound pass from Jodie Meeks and drained his fourth 3-pointer of the night. Suddenly, the score was 99-98, and the Lakers held on for the final second and three-tenths to hand Dwight Howard an embarrassing loss against the Kobe Bryant-less Lakers. Later in the game, Howard was repeatedly sent to the free throw line using the hack-a-Howard strategy, a strategy that Lakers’ fans painfully lived through last season. Howard finished 5-16 from the charity stripe, and his 15 points and 14 rebounds were overshadowed by his 31 percent foul shooting and four turnovers. For Lakers fans, it was a case of déjà vu in more ways than one. Watching Howard miss free throws late in the game was a familiar sight, even if it was welcomed for a change. 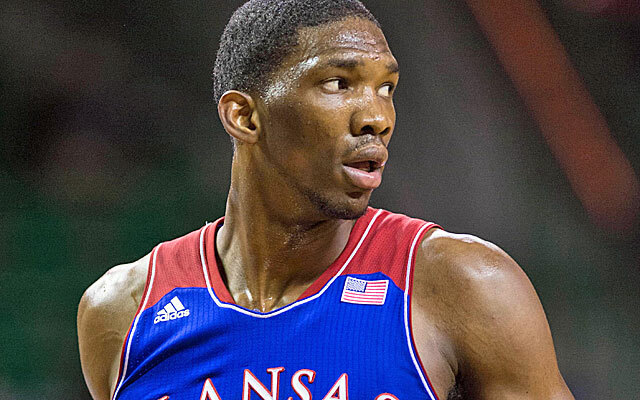 Also, watching Howard lose the ball on careless turnovers was an all-too-familiar memory for fans watching at home. This time, though, Howard wasn’t on the Lakers, so all of his mistakes were being celebrated across Laker Nation. Aside from Howard, the Lakers were the same bunch they’ve been all season long. After getting out to a massive 17-point first half lead, the Lakers found themselves trailing at the end of a close ball game. Howard’s consistent misses at the line allowed the Lakers to stay in the game, as LA ran out of ammo from behind the arc. Including Blake’s game-winner, the Lakers only made three field goals in the last five minutes of the game. One of those field goals came via Meeks, who led the Lakers with 18 points on 5-7 shooting from behind the arc. The Lakers’ bench outscored the Lakers’ starters once again, but that didn’t seem to matter by the time everyone got into the locker room. On a Thursday night in Houston, the Los Angeles Lakers won their first road game of the season, embarrassed the man who spurned their team, and made the Laker fans proud.